You'll be able to choose how you watch the HBO series. Director Steven Soderbergh has made a name for himself by pushing cinematic boundaries, so it's no surprise that his upcoming series for HBO, Mosaic, isn't your usual TV fare. Today, he's launching the Mosaic app on iPhone and Apple TV (with Android and web versions to follow soon), which will let you decide how you watch the show. It's not quite "choose your own adventure," since you're not making any decisions on the show's outcome. Instead, the app, which was developed by PodOp, lets you determine how Mosaic's narrative flows. 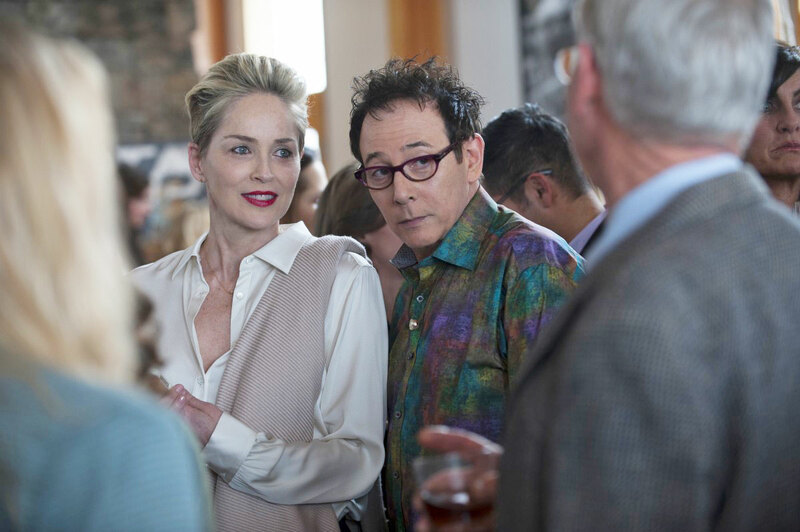 The first episode introduces you to Olivia Lake, an author played by Sharon Stone. After viewing that, the narrative path branches into two episodes. You could just watch them in parallel, or you could follow the path down all the way to the end, then go back and catch up on what you've missed. You can also unlock additional clips, documents and recordings to flesh out the story. HBO is making all 7.5 hours of the series available in the app, but it's also going to air a six-hour version of the series edited by Soderbergh (naturally) on January 22nd. "While branching narratives have been around forever, technology now allows, I hope, for a more elegant form of engagement than used to be possible," Soderbergh said in a statement. "At no point were we reverse-engineering the story to fit an existing piece of technology; the story was being created in lockstep with the technical team. The fluidity of that relationship made me feel comfortable because I wanted it to be a simple, intuitive experience." Conceptually, Mosaic sounds similar to what Arrested Development creator Mitch Hurwitz attempted with the fourth season of that show on Netflix. He originally said you'd be able to watch those episodes in any order, but then later backtracked on that suggestion. Francis Ford Coppola also tried something similar with Twixt in 2011, a film that he could "remix" narratively with an iPad. He wanted to tour with the movie and edit it live, but eventually settled for a traditional release. For Soderbergh, Mosaic is just the latest in a string of TV experiments. His Cinemax series, The Knick, tackled the early days of medical surgery with an anachronistic synth-heavy score. Soderbergh's film The Girlfriend Experience is now a TV show, as well, and its second season is also dabbling with branching narratives. Soderbergh says he's working on two more series using the Mosaic platform. Eventually, he hopes to open it up to other directors. I've only seen part of Mosaic's first episode, but I'll definitely be devouring the entire series as soon as I can. It's unclear if the app will appeal to anyone beyond Soderbergh fans and cinephiles, though. In the age of bingewatching, it seems like more viewers simply want to sit back and consume hours of content without lifting a finger.